AFC Wimbledon vs Millwall predictions for Saturday’s FA Cup clash. Wimbledon look to eliminate another team from the higher divisions when they face Millwall in the FA Cup 5th Round. Read on for all our free predictions and betting tips. 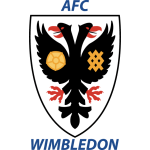 FST’s Dean Goddard covers our AFC Wimbledon vs Millwall predictions and betting tips in the video below. Wimbledon managed to pick up a rare League 1 victory in midweek as they came away from Walsall with 3 points tucked underneath their arm, but it doesn’t change the fact that they are a club in big trouble right now. The Dons find themselves rock bottom of the table with just 26 points from their 32 games, putting them 7 points adrift of safety and facing a brutal relegation battle in the coming months. Still, a prolonged FA Cup run would at least put some silver lining on that cloud. The fans were certainly thrilled to watch their club beat West Ham 4-2 in the last round, and while Millwall may look an easier fixture by comparison, they certainly won’t be taking their hosts’ for granted. 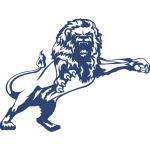 The Lions also eliminated a Premier League club in the 4th round, knocking out Everton in a match marred by hooliganism outside the ground. They have also beaten Hull in the competition, and having watched Wimbledon take the game to Everton they will know what to expect on Saturday. Millwall aren’t in great shape on the form cards either. Their win over Everton is their only victory in the last 6 games and they have slipped to within 4 points of the Championship relegation zone. Away from home they have only won once this season, but that did come fairly recently back on New Year’s Day and they have only lost 1 of their last 3 trips away. Considering they’re facing a Wimbledon side who have lost 3 of their last 4 at home, the visitors will feel quietly confident about their chances. Both teams have struggled to find the net recently though. Wimbledon have failed to score in 3 of their last 5 games on home soil and Millwall have in 7 of their 15 trips away this season. Both teams have scored in only 1 of Wimbledon’s last 5 matches and 2 of Millwall’s last 5, so we’re backing Both Teams Not to Score along with a narrow 1-0 win for the visitors here. Millwall have failed to score in 7 of their 15 competitive away games this season. Wimbledon have seen both teams score in just 1 of their last 5 competitive matches. The Dons have failed to score in 3 of their last 5 home games.